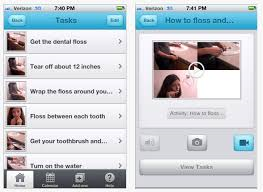 NESCA News & Notes: The Best List of Behavioral Apps EVAH! The Best List of Behavioral Apps EVAH! We'd have been downright negligent not to share it! Teaches self-regulation skills in physical, emotional, and cognitive domains. Helps students categorize their emotions and levels of alertness into “zones” and teaches skills for self-regulation. 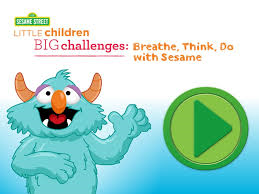 App developed by Sesame Street; helps students calm down and solve everyday problems by helping a monster take big breaths, think of a plan, and try it out. Teaches emotional identification, understanding, and regulation. Has three developmental levels. Helps users with Autism Spectrum Disorders and other disabilities to communicate and regulate in emergency situations. Tool created by game designers to build personal resilience. Aims to build physical, mental, emotional, and social strength during difficult times or life changes. Provides training and practice at gaining control of stress responses, including heart rate, emotions, and concentration. Self-regulation tools including The Shredder (“shreds” negative thoughts or feelings) and Voice Meter (light that gives students visual feedback on the volume of his voice). App with only the Shredder tool from Sōsh. Helps user get “from stuck to unstuck,” no matter what the problem is, by identifying what kind of stuck moment the user is having and suggesting how to proceed. Creates a “worry box” to “put worries away”, list steps to manage worry, or find coping statements to think about the worry differently. Tools to help people with panic disorder, including a diary and audio clips for emotion training audio for calming, relaxation, and panic attack assistance. Mobile anxiety coach, includes strategies to deal with anxiety-producing situations. Relieves anxiety and worry through meditation, mental exercises, and journaling. Goal is deep, lasting change. Provides information about PTSD and tools for screening, symptom tracking tools, and symptom management. Learn to identify emotions of characters and help characters self-regulate. Virtual stress ball that looks and squeaks like a rubber ducky when you squeeze the screen or vibrates for a hand massage when you shake the phone. Stress management app that tracks stress, moods, sources of stress, and behaviors. View trends and suggested action steps. Includes a diary to monitor mood, CBT-based suggestions for battling depression, and emotion-training and relaxation audio. Tracks moods over time and allows user to store photos of what makes them happy or sad. Tool to monitor and track emotions (on provided or custom scales) over time. Allows user to track information such as symptoms, goals, mood, or habits. Diary that records health information for depression, ADHD, or autism to help user understand patterns and triggers, see how treatment is working, and manage their own care. Calls attention to a desired behavior on a set schedule, with vibration and/or audible tone. Tracks “streaks” of progress toward behavior goals. 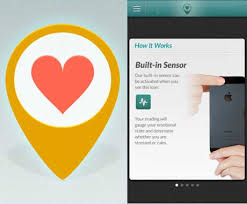 Alerts students to rate their emotions and provides coping strategies if needed. 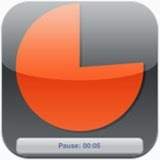 Data collection app which collects tally data and automatically converts it to percentages. Journaling app with support for photos, online backup, and PDF export. 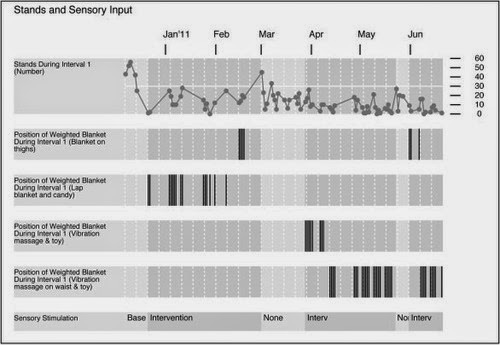 Tracks behavior frequency using tallies. Notifies user to log how you they are currently feeling and creates shareable history. Allows user to construct picture and video schedules. Uses video modeling to plan a user’s day. Develops visual stories and talking books based on a series of pictures (from library or user photos). Can be used for stories to teach social skills/strategies, schedules, and language learning. Allows user to customize sequential steps of a storyline for individuals that need help building their social skills. App for creating and presenting Social Stories™. Creates talking picture books using photos, text, and voice recordings. Creates personalized stories using photos, text, and audio messages. Allows user to practice interpreting vocal intonation, facial expressions, perspective-taking, body language, and idiomatic or slang expressions using photographs and voices. Game created by Sesame Street to explore emotions and build expressive vocabulary skills. Promotes social learning in individuals with learning challenges, using real video scenarios and multiple-choice questions. Helping children complete daily routines (morning, day, & night), understand & control their feelings and improve their waiting skills (taking turns and not interrupting). Uses device’s camera to estimate user’s stress level. Biofeedback software with handheld device. Includes breathing exercises and emotion visualizer. Measures heart rate and heart rate variability and provides media to help reduce stress, including music, poetry, photos, and breathing exercises. Provides healing modules from different traditions, including chanting, meditation, and sound healing. Diary to record information relating to meltdowns and analyze to see patterns. Teaches adult to manage their own feelings to calmly help the child, strategies to deescalate and soothe the child in the moment, understand common triggers, and create plans to prevent future problems. Allows user to gather classroom observation data, including timers, counters, and checklists. Several apps available for different purposes. Behavior chart app which turns a picture of a reward into an interactive jigsaw of up to 60 pieces. User earns the reward one piece at a time for using strategies and skill practice. Allows user to track behavior and generate graphs and charts. Mobile app links to online portal for team use. Allows teacher to give students positive behavior feedback points on strategy use or skill practice. Parents can also check in on student progress. Provides analytics and reports. Behavior support for autism and special education: Helps user label target behaviors, identify function of behaviors, and begin to develop positive behavior support plans. Personalize-able reinforcement tool and data collection. Behavior data collection app which syncs to web-based portal for storage and analysis. Collects data on skill acquisition and behavior intervention. Performs ABA interval recordings and time samplings. You are able to record: antecedent, behavior, duration, setting, and consequence. In addition, you will be able to produce an easy to follow log of your information to aid in your analysis of any patterns to determine an intervention (if needed). You can easily customize this app to meet your requirements. The data sheet app has been created for specific students. It can be adapted or modified to fit your student's needs, and can also be used as a template for making your own data sheets. Data collection tool for behavior and/or event counting, partial interval recording, full interval recording, and ABC recording. Simple note-taking app. Includes checklist creation, notes in calendar, and syncing. Timer goes from green, to yellow, to red as you run out of time. Gentle implementation of time imposed limits. It utilizes an animated shrinking pie chart to depict elapsed time. Visual thinkers, especially when they are children, have difficulty conceptualizing time. Set multiple timers at once. Program minute, hour, or second. Create notes with text, photos, lists, or voice reminders. Notes can be shared, searched, and organized. Task organizer with option of text, picture, audio, or video tasks. Includes alarm function, including recurring alarms. User can create video schedule using large provided library of photos and videos or creating their own. Allows user to take notes and annotate PDF documents. Note-taking app which also allows editing of PDFs and Google Docs. Notes can be linked to audio recordings. Creates audio to-do list with no need for writing. Notetaking app with handwriting recognition. Creates “talking photos” with user’s photos and recorded messages. Can be used to make a future picture for students or create a positive self-talk picture or remind a student of a strategy. Creates simple animated videos. Can be used to make a future picture for students. An app to rapidly create and present visual supports, helping individuals transition from one activity to the next, understand upcoming events, make choices, focus on the task at hand, and learn social skills. Social platform for education which allows secure discussions, posting of assignments, and file sharing, which students can use to preview outside of the classroom as well as participate in class without having to speak in front of peers. Cross-platform video and voice calling app. Class engagement tool providing games and exercises. Students can use it to participate from outside the classroom as well as participate in class without having to speak in front of peers. Three-minute checklist that screens for depression. Weekly test to track depressive moods over time. This lifesaving app for iPhone and Android was developed by the military to prevent suicide. Recorded videos and menu options help users who are having suicidal thoughts to reach out to others and provides activities to help them stay connected. App by Juniper Islet which provides positive phrases and reminders. Also allows user to add their own positive statements. Displays quotes about success, motivation, perseverance, courage, inspiration, and hope. Allows users to save and share favorites. Teaches handwriting skills to pre-writers. Voice recognition app that allows user to instantly see their text. Students can create visual maps to build reading, writing, and thinking skills. Transforms pictures into written words. Creates visual mind-maps that capture thoughts and images and create relationships between them. Can be used for collaborative brainstorming, and students can leave comments on each other’s work. Word processor for students learning to read and write. Sentences created from pictures or words are read back to the student. Allows students to have protected blogs where they can post and participate in discussions. Teachers have complete control over student blogs. Web App for Google Chrome that adds accessibility options to Google Docs, PDFs, ebooks, and the web. Includes read aloud, highlighter, picture dictionary, talking dictionary, and vocabulary list builder. Allows user to record audio narrative based on story prompts. Children’s books read by a narrator or recorded by user. Can create book using photos or artwork. Uses word prediction and spelling error prevention to help prevent typos and make writing easier. Customizable white noise app that mixes different sounds. Includes sleep timer. “3D” audio of nature sounds. Soothing interactive koi pond with relaxing nature sounds. Nature sound app, includes ability to mix sounds. Laser light effects controlled by user. User interacts with color-shifting “goo” by touching the screen and tilting the device. Allows user to combine sounds of rain falling on different tiny instruments by tapping pictures of raindrops. Turns device screen into an interactive pool of water. Coloring book app with coloring pages and ability to color user’s photos. Cute monsters each sing a note, user can combine them to create songs. Calming music plays while user creates soothing designs. Illustrated instructions for acupressure point massage. Plays Chinese traditional music for calming and relaxation. Interactive wind chimes with relaxing background sounds. Uses ABA techniques to help user (particularly those with Autism Spectrum Disorders) stay calm and in control. Diaphragmatic breathing exercise for stress management. Biofeedback app that generates music in sync with deep belly breathing. Five minute stress relief app that teaches deep breathing. Multi-level deep breathing course for stress reduction. Guides user to breathe slowly and deeply. Meditation app aimed at young people. Teaches mindfulness meditation with guided meditations, including some for specific situations including waking up, being in a park, working online, or going to sleep. Provides seven different relaxation techniques including breathing and meditation exercises. User can listen to meditation sessions of various lengths, with or without nature sounds or music. Plays short videos teaching gentle Qi Gong movements and breathing exercises. Provides 5 to 20 minute meditation sessions with or without nature sounds or music. Thank you for compiling this comprehensive list! Any chance you can put links on these? Excellent summary of available stress-relieving programs. Thank you. I believe that some of the most cost effective and fun biofeedback programs are from Wild Divine and Somatic Vision. This comprehensive list is amazing! I am an Education student and I am going to be going go through each and everyone of these! Thanks for the comprehensive list.very helpful. Calm, a paid app is good too. I like the explanation given for meditation in Headspace. Book Review: "Is That Me Yelling?"